A delicious Crawfish Stew earned the top prize at the 2019 Men Who Cook event to benefit the SECU Family House. Chefs Chris Smith (Inmar) and Jack Samet (Infinity) wowed the Providence Culinary Training student judges with their Crawfish Stew. Second place food prize went to chefs Eric (Cone Health) and Kimberly Stone (Cannon Wealth Management) for their Heart Healthy Hawaiian Poke Bowls, and Billy Lentz and Paul Schunder (Garner Foods), came in third place with their Texas Pete Chicken Enchilada Dip. 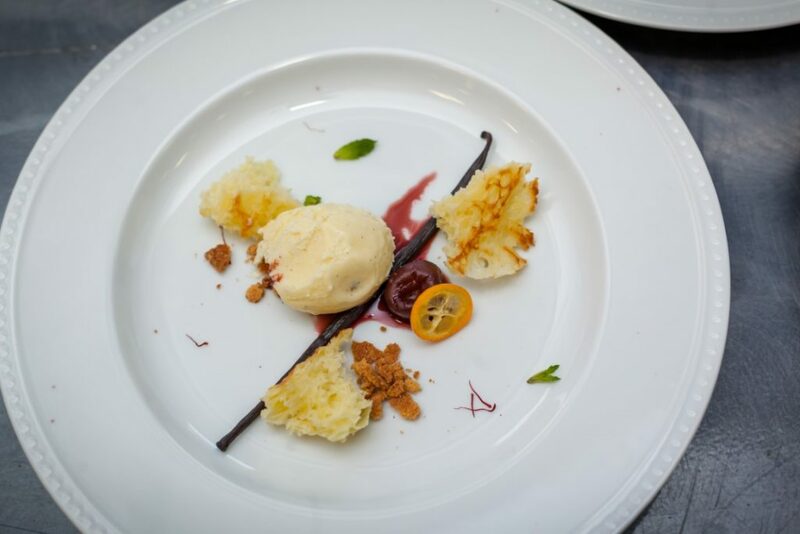 The event on March 16 showcased the talents of 22 local amateur celebrity chefs who cooked for more than 425 guests at Bridger Field House. 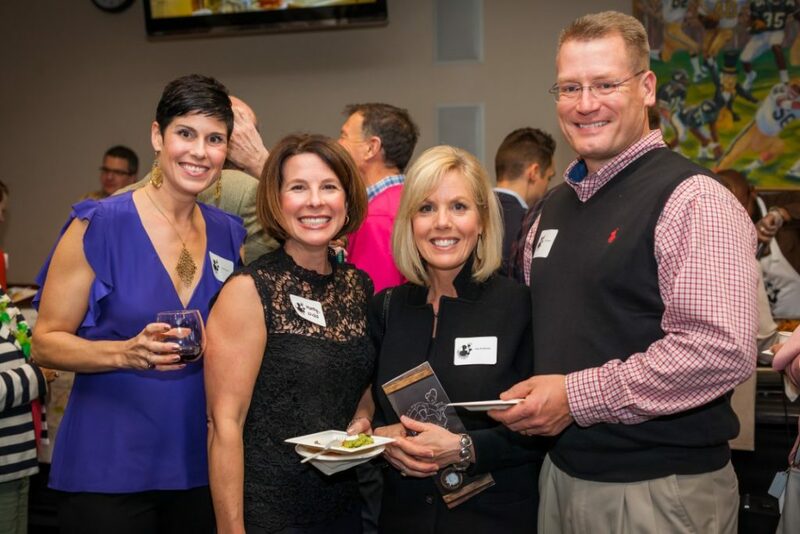 More than $140,000 was raised to help the Family House provide a compassionate, affordable place to stay for patients and caregivers who travel to Forsyth County for treatment or medical care. The Family House opens its doors to more than 4,500 patients and their caregivers each year. Chefs also accepted “tips” online and at the event, raising over $40,000 combined. 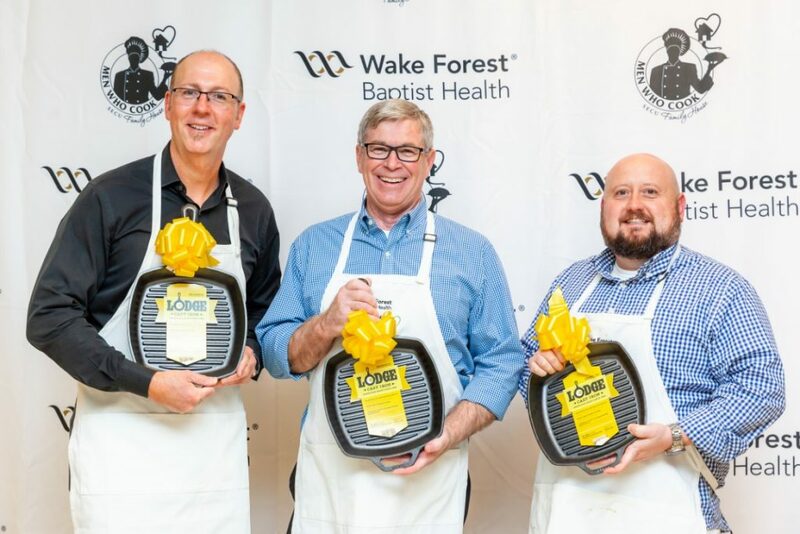 The Top Hat Award for the most online tips went to Chefs Tim Lowe, Richard McKellogg and Wes Doub of Lowes Foods for raising $5,345. Chefs Jim Figlar and Winton Jennette of Reynolds American took home the People’s Choice Award for the most tips collected at the event, $2,483. The Lowes Foods team of Tim Lowe, Richard McKellogg, and Wes Doub took home the Top Hat Award for most tips collected before the event. The House has hosted guests from 95 North Carolina counties and 42 states, and over 33,000 patients since opening in 2011. For guests unable to afford the nominal overnight fee, an assistance fund is available, thanks to donations and fundraising events like Men Who Cook. 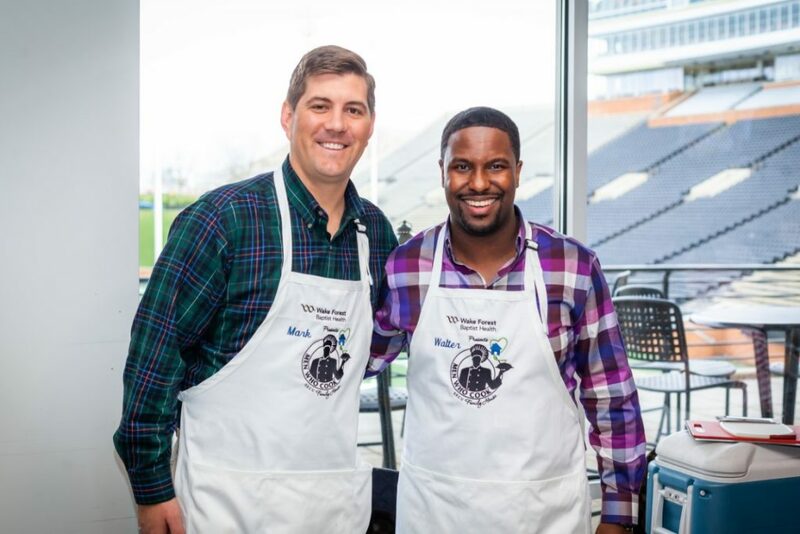 Major sponsors of Men Who Cook included Wake Forest Baptist Health (Presenting Sponsor), Novant Health, Visit Winston-Salem, Publix Super Markets Charities, and Reynolds American.